The five main topics in this month's newsletter are: a new online game, hamster powered paper shredder, hamster wheel pedometer, cancers / tumours and also we encourage hamster lovers to send in their pet hamster�s photos to be included on the website. To view our newsletter, please click here. Hit with the Hammer as many grinches as you can so you can save all Hamsters� Xmas. Don't Hit the Piggy, Father Christmas or Rudolph as you'll lose points. A shredder which is powered by the running on the wheel of a hamster. While there are plenty of guidelines for how much humans should walk each day, I've not come across any such measurements for the humble hamster, but if you're worried, or simply curious, about your little furry friend's movements, try the Hamster Wheel Pedometer. 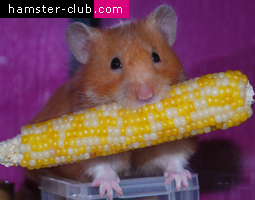 Visitors can send in their hamster�s photos to be added on Hamster-Club.com website.